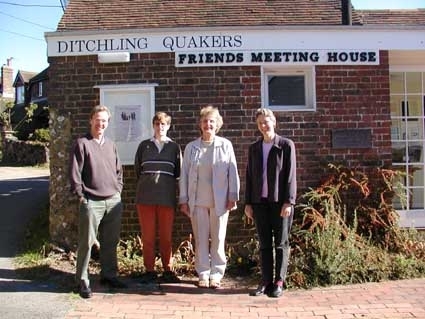 Ditchling (Quaker) Meeting is a community of about 40 people, both Friends and Attenders. Each Sunday about a dozen or so people gather for a one hour Meeting for Worship. We come from Ditchling and the surrounding areas with some coming over the Beacon from Brighton. We have different beliefs, lifestyles and backgrounds, each individual enriching the Meeting with their particular experience. What we have in common is an acceptance we are all on a spiritual journey and that we choose to share that journey with each other. We welcome new attenders at any time. After the meeting for worship ends (with the shaking of hands) please stay for coffee and Friends will be pleased to talk to you.